People who have suffered a serious personal injury or who have lost a family member due to the negligence of another are entitled to fair and just compensation — not what the insurance company wants to pay. The Durham injury attorneys at Thomas, Ferguson & Mullins LLP have extensive experience in the negotiation, settlement and trial of serious personal injury and wrongful death cases such as traffic accidents involving cars, big rigs, semi-trucks, tractor trailers or motorcycles, and slip and fall accidents or any accident that results in brain injury, spinal injuries, paralysis, other life-altering conditions or death. The firm fights to protect the rights of these individuals and their families and helps them get the compensation they need and deserve. 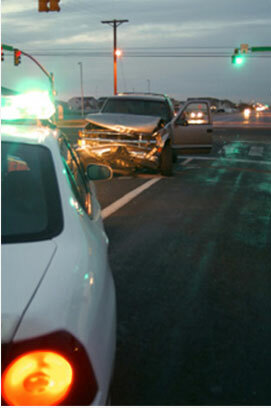 Obtain the aid of a competent personal injury lawyer as soon as possible. Legal representation is crucial for victims of negligence. Insurance company investigators are on the scene of accidents immediately, gathering and examining evidence, interviewing witnesses and working to shield the negligent from responsibility. People who have been seriously injured by the negligence of others should obtain competent, trusted counsel as soon as possible after the incident to make sure someone investigates and advocates on their behalf. For those who have delayed seeking help, it is even more important to retain the most experienced, aggressive legal counsel they can find. We work aggressively to ensure clients injured by others’ negligence receive full and fair compensation. Experienced injury attorneys at Thomas, Ferguson & Mullins in North Carolina stand ready to tackle tough cases and work aggressively to protect the rights of injured clients. Every state has law limiting the time you have to bring a claim for a personal injury. North Carolina’s statute of limitation impact your ability to bring a claim. For this reason it is important to consult an experience personal injury attorney right away. Medical expenses and repair cost resulting from injuries caused by another's negligence can leave one destitute, but not if we can help it. Disclaimer: This website is provided for informational purposes only. The content should not be considered legal advice. Please speak to a licensed attorney regarding the particular facts and circumstances of your situation prior to taking any action. The firm expressly disclaims all liability in respect to actions taken or not taken based on any or all the contents of this Website.